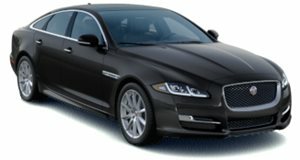 There is a lot to like about the Series III Jaguar XJ. It was one of the last cars built that gave you old-school British luxury at sub-Bentley prices, all of that old money wood and leather on the interior. The elegant body was penned by Pininfarina, and the name Jaguar had real weight behind it. And that's all great if you were buying the car new, as time hadn't yet taken its toll and you clearly had enough money to deal with the reliability problems. But as a used car, it is an absolute nightmare. Age turns a car that was problematic when it was new into a complete money pit. But we'll let the video tell you the whole story.